Cinematography services, underwater and time lapse footage and equipment for above and underwater productions. We specialise in 4k acquisition with high production values. 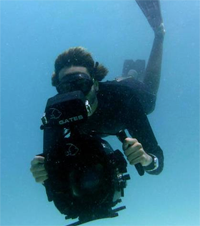 We do a lot of underwater filming in 3D. We offer unique underwater housings and content that resolves true 4k and beyond from corner to corner using proprietary and innovative solutions. I'm an independent filmmaker based in Argentina. I've been dedicated to explore ancestral cultures around the world. Directing, producing and editing. Her film Gloop has been nominated and won five awards in the Best Short categories... See www.ecotales.co.uk for more. Gaby has been working on BBC Natural Worlds for the past two years at Passion Pictures, amongst other freelance work. 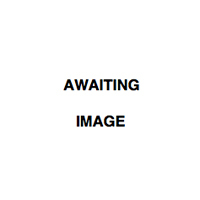 Producer/Assistant Producer with specialities in CGI animation and drama. 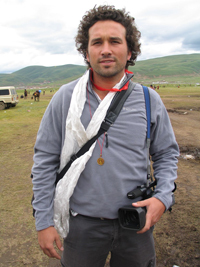 Christian Baumeister is the founder and principal cameraman of LIGHT & SHADOW. Both a cinematographer and a highly successful director, Christian has been recognized internationally for his exceptional artistry, storytelling and vision. Christian Baumeister studied biology at Westfälische Wilhelms University in his native Germany and filmmaking at Derby University, UK. 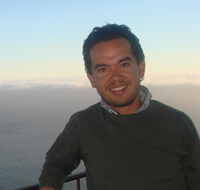 His work has taken him to over 30 countries around the globe and made him a specialist for South America and Russia. Using the high-quality film equipment, Christian Baumeister has garnered awards across the globe and been aired by leading broadcasters such as BBC, National Geographic, Discovery Channel, Smithsonian Channel, ARD, ZDF, arte, ORF, NDR. 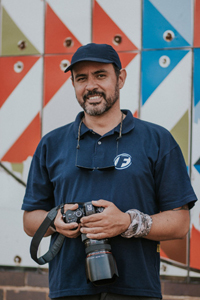 Jahawi Bertolli is a natural history film maker and photographer from Kenya specialising in wildlife and the underwater world. While a lot of his work is done scuba diving, he is also an experienced wildlife cameraman having grown up in the African bush and he's also a record setting free diver and music composer. 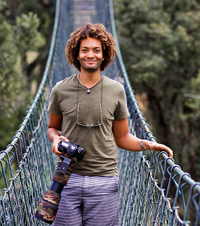 Although based in Kenya, his works have been featured in Africa Geographic and his photos are on display in the Museum Of Natural History in Washington DC. Other projects have been completed in the Galapagos Islands, Mauritius, Burma and Thailand. Clients have included the European Union, IGAD, IUCN-ESARO, the Professional Association of Diving Instructors (PADI), The Lamu Marine Conservation Trust, CORDIO East Africa, Royal African Safaris, Seacology and Oceans Below Thailand. Jahawi scores the music on his own film projects and has composed music for the Professional Association of Dive Instructors (PADI), the International Livestock Research Institute (ILRI), Oceans Below, The East African Safari Rally and the World Agroforestry Institute (ICRAF) to name a few. Nature and outdoor motion and still photographer (also underwater and drone). 25 years of TV / Cinema experience. Working as a wildlife filmmaker and photographer for 25 years, Fabio Borges has traveled the world, mostly (but not limited to) for underwater shoots. His footage has been seen in all major nature / wildlife TV channels, beside cinema (best photography awards in cinema) and advertising. He has also worked as local fixer and expedition leader for many multi-purpose projects (biology research and film-making, for instance). Caroline graduated from Bristol University with a BSc Hons in Zoology, then worked for the prestigious Survival series as well as Anglia's Predators with Gaby Roslin, Wild about Essex with Tony Robinson‚ and Animals In Action. 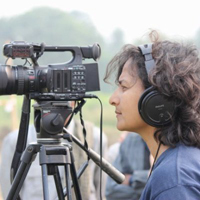 Now as a director of Shake the Tree Productions, she has written, produced and directed films on black caiman in Brazil, street children in India and the history of the pearl trade in Bahrain. Her stills are housed at the Specialist Stock Library, she has written seven books on wildlife and numerous articles. Recently while working for the Save Our Seas, the Foundation won two 'Rockies' at Jackson Hole and two 'Pandas' at Wildscreen. Caroline is also a Wildeye Tutor. 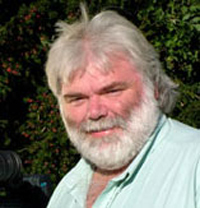 Richard Brock worked in the BBC Natural History Unit for 35 years producing, among others, the highly successful Life on Earth and Living Planet series with David Attenborough. Concerned by the lack of willingness to address the real current state of the environment he left the BBC and started his own independent production company Living Planet Productions.Living Planet Productions has made over 100 films on a wide range of environmental topics, shown all over the world. As his archive of films and footage mounted up, Richard felt that there was something more, better, that could be done with this resource, so he set up the Brock Initiative. "I try to get stuff out there that will make a difference. There are now more ways of doing that than ever before. It can be in any format, anywhere, anyhow. I will provide free footage on wildlife and environmental matters from around the world. I am always interested in issues where "Filming with Attitude" might help the planet. Just let me know." 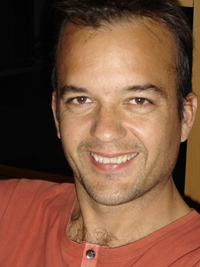 Giuseppe is a film-maker and a biologist with fifteen years of research experience in ecology and molecular biology. He worked for major scientific institutions both in the US and in Europe. In 2004 he produced the multi-awarded film AHMED AND THE RETURN OF THE ARAB PHOENIX, a compelling story about the re-discovery in the Middle-East of an iconic bird, the Syrian Northern Bald Ibis. 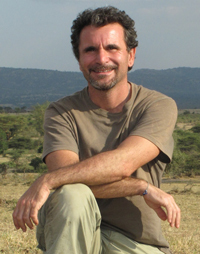 In 2009 Giuseppe moved to Kenya and founded his production company, Terra Conservation Films. 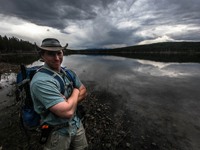 He collaborates with several conservation organizations and wildlife experts to make films about endangered ecosystems and raise awareness on conservation issues. In 2012 he got his Documentary Campus Master degree (Munich, Germany). Giuseppe's documentaries have been aired on PBS (USA) and the National Geographic Channel and were awarded at major wildlife film festivals around the world. Recent credits include an episode of Panorama for BBC1, investigating the devastating effect of the palm oil industry on the environment and particularly the orangutan, and the much repeated series Gibbons: Back in the Swing for Animal Planet International. Adrian is also a Wildeye Tutor. Alice is an accomplished self-shooting Producer/Director/Editor/Scriptwriter. Documentary filmmaker currently working for the Environmental Investigation Agency. Specifically interested in natural history/environmental/human rights issues. Camera operator, producer and editor. 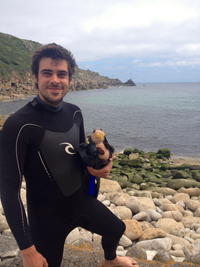 Freelance producer, director & cameraman specialising in natural history & environmental films. Born in the once dusty little town of Hesperia, California the love of nature has always been the central inspiration in my life. From rattlesnakes to cobras, alligators to anacondas, there has never been a "creepy crawly" I haven't immediately wanted to look at just a little closer and show to everyone around. I think it was my passion for sharing my passion that led me to my career in television. What a platform to show the world all the awesome living things around us... and so that's the short version. I specialize in herpetology (the study of reptiles and amphibians), but have worked with all sorts of animals on and off camera. I've done it all, from hiding in hand built blinds to film wild lions feeding for National Geographic, to scuba diving with massive tiger sharks for the Discovery Channel. Simply put there is no animal too obscure or dangerous for my camera's lens... whether that lens be on a big body Sony 900, a Photron High Speed Camera, a Phantom, a Red Epic, or an underwater rig (yes I am a PADI certified diver). For more on my television work see my IMDB page. Photography is my favorite form of artistic expression and my photos appear in several books, websites, and magazines. Occasionally I sell my photographs and donate the proceeds to a variety of causes I support. I personally love to snap images of venomous snakes from cobras to bushmasters and everything in between. I have shot production stills for National Geographic, Animal Planet and The Discovery Channel. I travel to South Africa annually, and have a particular fondness for the herps of that region, occasionally lead small groups so others can share in my experience. Please contact me if you would be interested in joining me in the field some time in the future. My original plan for my life was academia, and I still do a bit of research work as well. I have presented at the International Herpetological Symposium, speak at countless reptile societies, and co-authored both scientific papers and non-fictional books. When I am not searching for snakes or filming I am actively involved in a number of conservation efforts including the founding of Herpetological Conservation International. Mark Anthony Coger has worked the past three years as a video producer for Lindblad Expeditions/National Geographic on board their fleet of expedition ships. 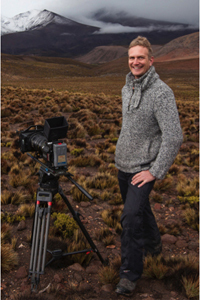 As a video producer on board the National Geographic ships he has created numerous travel documentaries documenting the wildlife, naturalist, and the experiences of the people going on these trips to remote parts of the world. His travels has taken him from the high Arctic filming the elusive polar bears and all the way down to Antarctic Peninsula. Along the way he has walked in the footsteps of Charles Darwin filming the naive wildlife of the Galapagos Islands. 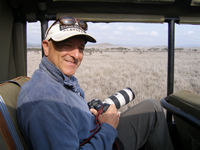 He has worked with alongside with National Geographic Photographers and expert naturalists from all around the world. Jamie works across all aspects of television as a regular on-camera face for the BBC and as a shooting PD and script writer behind the camera. Presenting credits include wildlife and adventure shows for Five, Discovery and Animal Planet. 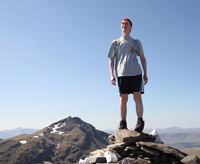 For the past four years Jamie has presented photography and adventure stories for the BBC's One Show. Production work includes writing, producing and directing for the BBC, ITV, Five, National Geographic, Discovery and Animal Planet. 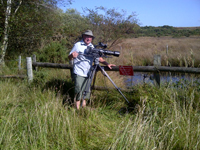 Self taught wildlife cameraman filming the secret lives of sparrowhawks and all the wildlife which surrounds them. And studying and filming 19 species of songbird that choose to nest right next to it. A film I was told virtually impossible to do. 10 years in the making a world first to capture on film there whole breeding season from November to August. All my footage is of wild birds. I like a challenge. I'm just starting to edit a film of the whole lives of Tawny owls throughout the year, also a first. Then, hopefully next season, a film on the goshawks lives throughout the year. Just in talks about a nest site at moment for filming. Also 2nd camera and researcher. I am passionate about thinking different and doing things differently. 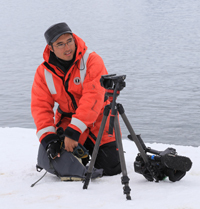 I am an engineer, cinematographer, researcher and a recent graduate from BBC NHU's Masters in Wildlife Film Making. As a part of the course I did a unique film on Tigers, #Tiger Selfie exploring how selfies are saving Tigers from extinction. I like to be challenged by stories to push technical limitations in cameras. As an engineer I build my own rigs, customize cameras according to shoot requirements. My passion to think different means researching extensively to find the most elusive and never told before natural history stories. I worked with International NGOs prior to my work and I am closely connected with bear biologists, big cat scientists and scientific community around the world. I am available to share your passion for research, development, cinematography and technical co-ordination. Camera operator, scientific advisor, producer,director, scientific photographer. AWARD-WINNING EXECUTIVE PRODUCER with a strong track record of both specialist factual and factual entertainment programming. 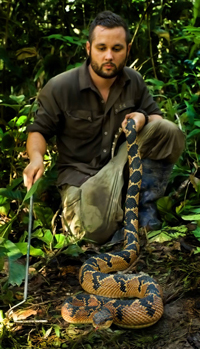 Trained in Natural Sciences at Cambridge University and then travelled the globe producing a raft of high rating films while living for years in the rainforests of Belize, Amazon and Indonesia. Overseen series and multiple co-productions for all major broadcasters worldwide including BBC, Channel 4, ABC, National Geographic and Discovery. landmark IN THE WOMB shows that used revolutionary 4D scans and specially commissioned models to recreate breathtaking sequences of life before birth - Co Production with Fox for Channel 4, National Geographic Channel & National Geographic International - nominated for Emmy & for Banff World TV Awards & winner of Golden Panda award for innovation. 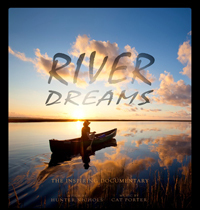 Emmy award-winning blue chip wildlife special SECRETS OF THE GOLDEN RIVER filmed entirely on location in the Amazon rainforest with never before seen footage of pink river dolphins - for ABC & BBC. factual entertainment series JOHN LYDON'S MEGABUGS featuring killer bees, leeches and giant tarantulas fronted by unlikely presenter Johnny Rotten (Discovery). I'm a journalist and environmental activist who uses digital media as a platform to deliver content to a wider audience. Kiran Ghadge is a cinematographer & photographer with a unique creative eye. He specializes in wildlife and natural history. Extensive fieldwork, conservation and assistance in researches associated with NGOs makes him familiar with the habits and behavior of birds and other wildlife. His films are not only visually rich and exciting but also enlightening, sending an awareness message through entertainment. Kiran has a stunning collection of images and amazing video sequences made with the advanced camera technologies and techniques. 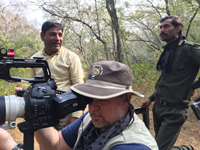 In addition to wildlife films Kiran has a feature length film and many short films to his credit apart from a documentary film under production for the Indian forest department. Kiran Ghadge not only excels in cinematography but has highly qualified skills for film editing and story building. In short he is an all rounder as far as films are concerned and a one man army. Award winning filmmaker Kire Godal makes natural history and conservation films on Africa, as well as commercial and promotional films for African companies and NGO's. Her work can be seen internationally on the National Geographic Channel, Nat Geo Wild worldwide, Discovery Animal Planet, Fox, France 5, among many others. As a filmmaker and explorer Kire is the first to film many rare and secret ceremonies of diverse traditional African groups. 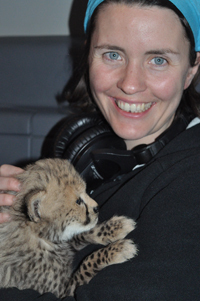 She is also passionate about wildlife, and dedicated to human-wildlife stories and environmental issues. Kire was nominated for the prestigious 2014 Panda Award given at Wildscreen Film Festival UK for her film Lion Guardians. 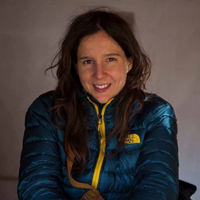 Her film Lion Warriors for National Geographic was nominated at 2011 Jackson Hole Wildlife Film Festival for best in People & Nature category, as well as being a finalist in three categories at the International Wildlife Film Festival 2011. There Will Always Be Lions? won two Merit Awards for "Conservation Ethics & Cultural Message" at the International Wildlife Film Festival 2012, and was nominated for a Roscar Award in 2013. She helped produce and shoot The Elephant in the Room an illegal ivory awareness PSA which won 'Best in Short Shorts' category at Jackson Hole Film Festival 2013. 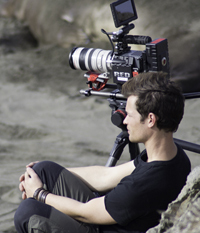 Will Goldenberg is an award winning US based cinematographer specializing in natural history filmmaking. 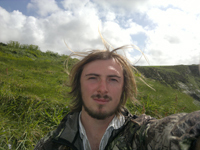 After obtaining a MS in wildlife ecology he was awarded a full scholarship to pursue a Master of Arts degree in wildlife filmmaking at UWE Bristol/BBC Natural History Unit. Since then, Will has contributed to factual television programs, independent documentaries, commercial advertisements and environmental advocacy films in the US, UK and abroad. Will is currently based in Northern California and accepts foreign and domestic assignments as a freelance cameraman, producer and editor. 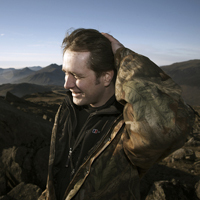 In-house natural history and conservation short-film producer and video editor for the National Trust for Scotland. Happy to be contacted by conservation charities and freelancers about ideas for potential future collaborations with the NTS Nature Channel. Multi-skilled director/cinematographer/editor with skills in animation and interaction design. Interested in interactive technology and new forms of digital storytelling, particularly those that feature non-professional participation. 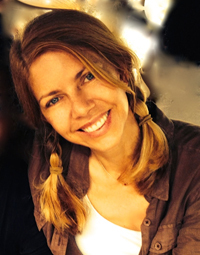 Tamara Groves is an experienced documentary filmmaker from the UK, currently living in Brooklyn, New York. Tamara specializes in international television and film production and she has traveled all over the world. 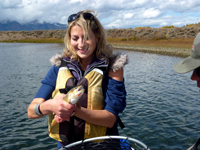 Tamara has an adventurous spirit and a passion for nature and the environment, lifelong interests that led her toward pursuing a career in culture and travel documentary, often interweaving culinary influences in her storytelling. Her most recent work in television includes projects for the BBC, ITV, CNN, Facebook and Nat Geo. Roslin Nature is a single-handed non-profit project in which wildlife documentaries are produced for presentation to local and national environmental clubs and societies. Northern Frontier chronicled the colonisation of the Lothians by the nuthatch. Fantasia is a short film about a pair of peregrines in Midlothian. Oasis is the most ambitious project so far completed, a documentary about bird life in the Esk Valley near Edinburgh. Each documentary has taken two years to complete. The working title of the current project is 'Nature's Cauldron', which explores the birdlife and other wildlife of upland habitat and conifer woods in the Lothians and Borders regions. This film will be complete by end 2012. The project for 2013 is a documentary comparing woodland habitats in Scotland and Massachusetts, in collaboration with Massachusetts Audubon Society. Multi-Emmy Winning Writer / Director / Producer / Show Runner / Exec Producer / Nice Person. Documentary Producer with experience filming in Asia as well as rural Northern Alaska, currently seeking a Master's degree in wildlife conservation. Looking to broaden my network and always available to travel. Not afraid of getting my hands dirty and helping in any way necessary. I am familiar with the basics of lighting and camera as well. Really looking to network with people who can benefit from my skills and create content that promotes wildlife conservation. I'm a freelance producer/director, writer & edit producer with experience in a variety of wildlife programme styles including blue chip natural history, presenter-led films, animal & people documentaries, short films and fast-paced & funny docusoaps. Looking for weekend jobs, part-time local work to build my portfolio. 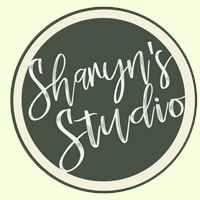 Photo or video; studio or field, I can do anything. Wildlife cinematographer, camera operator, still photographer. Currently working on an Animal Planet project in Zimbabwe. 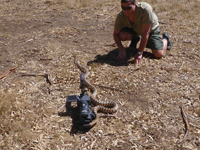 Freelance Wildlife Cameraman and Location Director. 4 years as CAA commercial drone operator. More on Richard's Profile Page! West Sussex based husband and wife wildlife film makers Mick and Pat Jenner. 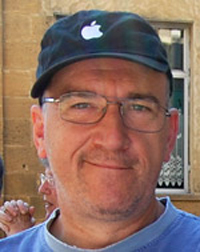 Mick is an experienced award winning camerman and film maker. We have an extensive library of stock footage from the United Kingdom and the rest of the world. Please contact us for details and prices..
From project conception to project completion, we have the tools, contacts and knowledge to provide you with the whole package. The Travel Collection, Gamewatchers Safaris, promotional filming for Jakarna Wildlife Trust, the Press Association, BBC South Today's Finn's Country and BBC 2's Hugh's Wild West. 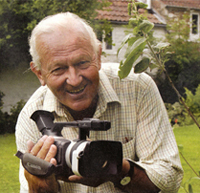 Alex Jones is one of the few top-side wildlife cinematographers based in both Southern California and Bristol, England. Alex’s client list includes BBC Natural History Unit, Nat Geo Wild, National Geographic, Discovery and BBC Earth as principal cinematographer for sequences assigned. He is a three-time nominee and Panda Award Winner for the world renowned "Wildscreen Film Festival" 2014 in Bristol and the “Wild and Scenic Film Festival” in Nevada City, USA. 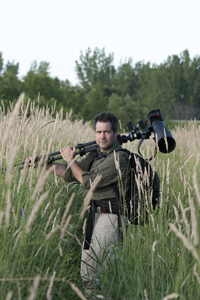 He specializes in top-side animal behavior and macro wildlife cinematography. Alex's passion, work-ethic and eye for detail makes him one of the best cinematographers in the industry and an exceptionally hard working asset to any team. Alex's equipment list starts with the RED EPIC 5K cinema camera with a wide range of the best Canon L-series lenses. 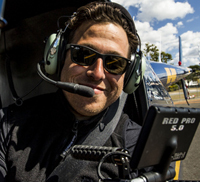 Alex also includes a 4K drone to match for beautiful land and aerial cinematography. The list goes on with owning and operating jibs, sliders, steadicam etc... Please download the pdf or connect with Alex directly for a full equipment list. There are two things I enjoy most and do best: find unique stories and fresh, unusual ways of telling them, and being behind the camera in the field. I enjoy producing, directing, researching and essentially seeing projects through from start to finish. I’m a self-shooting PD passionate about wildlife, science and culture with +20 hours of programming credits for PBS and Nat Geo. I work on Live OBS, science and blue-chip wildlife films as well as observational documentaries and shorts. Originally from South Africa, I have filmed in South Africa, Tanzania, Nigeria and the UK and directed shoots in the United States. I have my PhD in Geoscience (Paleoanthropology), undergraduate degree in TV production and hons degree in anthropology. 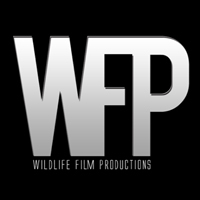 Ispida Wildlife Productions is an independent production company, dedicated to create the highest quality of wildlife films. Our focus is on wildlife in Africa and Europe. We are an experienced team, striving for excellence in the creation of unique films. Trevor is an explorer who is passionate about wildlife and has a taste for adventure. 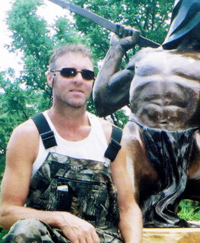 He generally works as a wilderness guide or wildlife educator throughout the United States. When he’s not working, you can find him in the wilderness trekking across the landscape, photographing and filming wildlife, or exploring different environments around the world. Trevor is a certified Wilderness First Responder, has his scuba certification, and he’s skilled in a variety of outdoor actives. As a freelancer, Trevor searches for opportunities as a natural history photographer with a focus on landscape and wildlife. 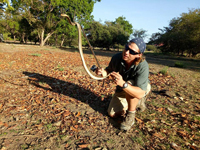 He’s also a film-maker creating wildlife and adventure videos to build a portfolio as an on-camera presenter. You can check out his portfolio at trekkingwithtrevor.com. Trevor’s goal is to host a TV show about wildlife and to be a voice-over artist for various nature documentaries. His mission is to build a sense of fascination and passion for wildlife while educating people about the natural world. Trevor enjoys working with wildlife. He has spent several years working with animals in either zoos, wildlife sanctuaries, during research, or as a conservationist. 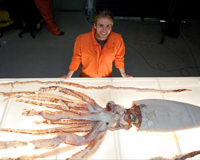 He’s largely fascinated with megafauna but he also really enjoys working with dangerous creatures and predators. Any opportunity that allows him to explore new places, interact with wildlife, and go on an adventure is a dream come true. 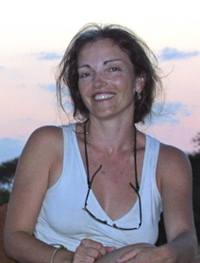 Dominique is an independent wildlife documentary producer and photographer specializing in wildlife of Eastern North America. His production is Birds Beauty, a high-definition DVD on 74 species of birds. You can see a preview on his YouTube channel. An accomplished editor too. He is presently working on a DVD of Monarch Butterfly. Also available soon, high-definition DVD on mammals, insects and amphibians. Freelance television producer, director, writer, fixer, production management. 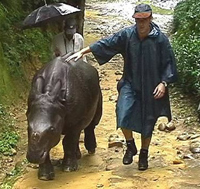 Specialize in Asian natural history and conservation (over twenty years involvement). Jin Pyn's career spans across broadcaster and independent production companies. Credits include BBC Worldwide, Channel News Asia, and Animal Planet, across all genres: short-form interstitials, long-form factual documentaries, and animation. Geographically the programs have been distributed all over the globe, including Korea's Kids Talk Talk, US's Somos TV and India's Edumedia. In Japan, Jin Pyn has won the best animation award, and her children's picture book was the first from Singapore to garner multiple languages. 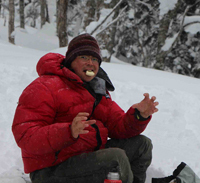 Tony Lee is a Series Producer of science and wildlife programmes with 20 years experience. Having worked for the BBC NHU and Science departments, as well as extensive experience in America for National Geographic, Discovery and Animal Planet, he has a thorough understanding of the international market for wildlife programmes. Credits include The Ancient Life, Man vs Wild, Wild Britain with Ray Mears, Time Team, Last Man Standing, Bill Bailey's Birdwatching Bonanza, Wild Thing I Love You, The Animal Zone, Monsters Inside Me, Bodysnatchers, Giant Monsters and The Shape of Life. French director, Cameraman/DOP and photographer ready for new wildlife adventures anywhere in the world. See more on his Profile Page! Dan Licht is the owner of Pronghorn Productions, a full service nature and wildlife video and media company stationed in the Great Plains region of the United States. He is within a few hours drive of Yellowstone and the Rocky Mountains, the Great Plains, and the lake country of Minnesota. Sample videos and a list of services can be found at www.pronghornproductions.com and www.hdnaturefootage.net (owned and operated by Pronghorn Productions). Mike is an highly experienced producer, director and cameraman with full HD kit (BBC specs) + GoPro hero in flat optic housing + video-microscope and endoscopes + Canon 7D time-lapse kit. Over 400 credits mainly as a Producer for Survival/Anglia Television. Now also producing Wildlife Interactive Touch-screens. Over forty International awards to date. Specialist in herpetology, entomology and UK wildlife. Large video, sound and stills library. Westcountry Wildlife is a small promotional outfit working in the Somerset & Devon area. We currently produce small promotional videos for the Somerset Wildlife Trust. If your looking for a local presenter then look no further. LB Loxleys presenting style has been praised by Steven Moss (former BBC producer). For your small scale promotions, website clips etc, give us a call. Arthur is an editor, producer, skilled photographer and enthusiastic cinematographer who is willing to work in any way related to wildlife. He is currently an advertising film producer in New Zealand. I have 16 years in the Broadcast & Corporate Video Production Industry and have worked in a huge variety of markets and disciplines. I have been a Cameraman and Editor and taken on ambitious projects as a Director/Producer also and found myself in areas such as News, Sport, Politics, Music, Film, Sci-Tech, Documentary, and Fashion and not to mention my main love is Wildlife Filmaking. I Directed and Produced The Fish Finder - An Extreme Fishing & Wildlife Pilot not so long ago. Looking for Full Time work with the Natural World Networks, Look and my work and feel my passion! Alan has been editing wildlife documentaries for twenty five years. BBC trained, Alan started editing wildlife programmes at Partridge Films and worked on many of their Wildscreen Panda award winners. He has worked for many companies, including Granada, BBC, NHK Japan and Nature Conservation Films for whom he wrote, directed and edited a wildlife feature film and edited two other wildlife feature films. He has also written and directed many documentaries but remains passionately interested in editing. He is experienced in both Avid and Final Cut Pro systems. Alan is a recent Wildscreen Panda award-winner and his recently completed independent feature film won best of category in 2012's London Independent Film Festival. Alan is also a Wildeye Tutor. 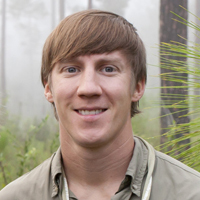 A director with a background in natural history and conservation biology, Tom is passionate about using film to tell stories about science and wildlife. He's made films for the BBC, C4, C5, Nat Geo, Discovery and PBS and has won BAFTA, Broadcast, RTS, SCINEMA, ZSL and New York Film International awards. Most recently he directed the Natural World: The Bat Man of Mexico, narrated by David Attenborough, and Giraffes: Africa's Gentle Giants. An experienced and reliable filmmaker with a passion for crafting work that inspires lasting environmental and social change. Editing is how I found my love for filmmaking over 10-years ago. I'm an emotive editor that loves nothing more than seeing people enjoy my work. With over 5-years of production experience under my belt, I know how to deliver projects to a brief, on time and on budget. I love collaborating with my clients and building a team from my network of talented crew members. I'm a creative and hardworking camera operator with a Sony FS5 cinema camera and other kit for creating a quality, professional look. I have a natural instinct for customer service and love collaborating with others to drive projects forward. I'm a freelance photographer, cinematographer, and editor based in Birmingham, Alabama. I specialize in producing conservation related documentaries. Chris’s career as a film producer began in 1983 when he founded the nonprofit organization National Audubon Society Productions, where he served as president and CEO for eleven years. In 1994, he founded another nonprofit film production company, National Wildlife Productions (part of the National Wildlife Federation, the largest conservation organization in the United States), which he led as president and CEO for ten years. Chris serves as president of One World One Ocean Foundation and the MacGillivray Freeman Films Educational Foundation, which produce and fund IMAX films on conservation issues. 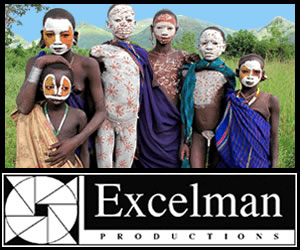 MacGillivray Freeman Films is the world’s largest and most successful producer of IMAX films. Chris also serves on American University’s full-time faculty as Distinguished Film Producer in Residence at the School of Communication. In 2004, he founded AU’s Center for Environmental Filmmaking, which seeks to inspire a new generation of filmmakers and media experts to produce informative, ethically sound, and entertaining creative work that makes a difference. His 2010 book, Shooting in the Wild: An Insider’s Account of Making Movies in the Animal Kingdom (Sierra Club Books) was described by Jane Goodall as “a very important and much-needed book.” Now in its second printing, Shooting in the Wild (along with a film version produced for PBS with Alexandra Cousteau) pulls back the curtain on the dark side of wildlife filmmaking, revealing an industry undermined by sensationalism, fabrication, and animal abuse. Chris’s forthcoming book, Now What, Grad? 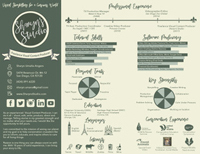 Your Path to Success after College (Rowman & Littlefield, 2015), switches gears from wildlife films to another passion of his: teaching and inspiring young people. The book guides recent graduates who may have learned practical skills in school, but have no idea how to succeed and find fulfilment in the real world. It focuses on the crucial skills that schools don’t teach, including how to organize a job search, how to ace interviews, how to manage time and stress effectively, how to lead, how to run a meeting, how to survive a bad performance review, how to speak powerfully, and how to network. 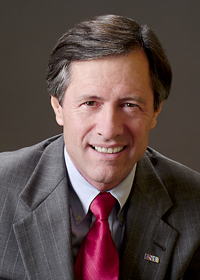 Profiles about Chris have appeared in many publications, including the Wall Street Journal and The Washington Post. He has been interviewed on the Today Show, ABC Nightline, NPR, the Fox News Channel, and others. He publishes articles regularly (including a bimonthly column on “best practices” for Realscreen Magazine) and serves on the boards of fourteen nonprofits. Chris is a frequent keynote speaker at conferences and film festivals. He regularly gives workshops on a variety of topics, including how to radically improve one’s success and productivity, how to raise money, how to give effective presentations, how to network effectively, and how to motivate and engage students. He recently spoke at TEDxAmericanUniversity. For five years, while teaching at AU, he was a stand-up comedian and performed regularly in DC comedy clubs. Chris and his colleagues have won numerous awards, including two Emmys and an Oscar nomination. Chris has also been honored with the Frank G. Wells Award from the Environmental Media Association, and the Lifetime Achievement Award for Media at the 2009 International Wildlife Film Festival. In 2010, he was honored at the Green Globe Awards in Los Angeles with the award for Environmental Film Educator of the Decade. 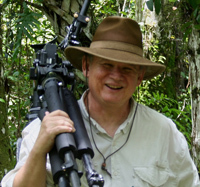 In 2011, he received the IWFF Wildlife Hero of the Year Award for his “determined campaign to reform the wildlife filmmaking industry,” and in 2012, he was named the recipient of the Ronald B. Tobias Award for Achievement in Science and Natural History Filmmaking Education. 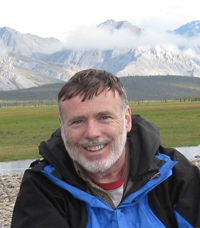 He received the 2014 University Faculty Award for Outstanding Teaching at AU, the 2015 University Film and Video Association Teaching Award, and the 2015 Lifetime Achievement Award at the International Wildlife Film Festival. Chris holds a B.S. with First Class Honors in Mechanical Engineering from University College London, an M.S. in Ocean Engineering and Naval Architecture also from University College London, and a master’s degree in Public Administration from Harvard University where he was a Kennedy Scholar and received a Harkness Fellowship. Born in Hong Kong, Chris grew up in England and immigrated to the United States in 1972. He is married to Gail Shearer and is the father of three grown daughters: Kim, Christina, and Jenny. He is currently writing a book about how to be an effective father. He and Gail have endowed a scholarship for environmental film students at AU to honor Chris’s parents and to encourage the next generation of storytellers to save the planet. 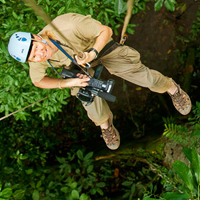 Pasternak Media offers strategic planning, story /editorial consultation and the Executive Producing services of Emmy Award winning producer/writer Kathryn Pasternak, for wildlife and other documentary film projects and conservation media. 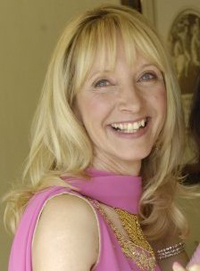 Kathryn produces, writes and shoots documentary television projects, as well as reversioning TV programs for the US market. She is available on a work for hire basis. 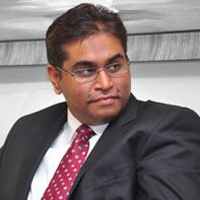 Thivanka R. Perera is a graduate of Academy of Art in San Francisco, where he majored in writing for film and television. He has written/directed several short natural history documentaries -- of particular note are his two documentaries about the mythical 'Devil Bird' of Sri Lanka ["The Devil Bird of Sri Lanka (2014)" and "Voice of the Night (2017)"] which has garnered extensive views online. His first wildlife documentary short, "Brown Wood Owl - Juvenile's Journey", was screened at 20 international film festivals, including the Wildlife Conservation Film Festival in NYC in 2014. Currently, he is the CEO of Aegle Creations (in his home country, Sri Lanka), where he is completing the Blue-Chip documentary "Wild Lives - Sri Lanka", a one-off program about the rich biodiversity of Sri Lanka set to be released later this year. Lutfi started his career in media the year 2005 as a reporter at PT Republika Media Mandiri. In the beginning of 2008, he continued his career to NGO Centre For Orangutan Protection, as a director, camera operator, photographer, field coordinator program, research. Some of his work is published in the book titled The Ape Crusader, Sean Whyte, Halsgrove Publishing, October 10, 2011, UK. Director, Camera Operator. In the last 10 years, GEKKO STUDIO has produced a considerable number of audio visual product associated with environmental issues and promotion of the community’s role in protecting and conserving their environment. GEKKO’s documentary videos and various reports have been proven to be an effective campaign tool and brought about positive changes at both policy maker and grassroots level. Lutfi is also active in helping post-production with GEKKO STUDIO on a short documentary video campaign for NGOs concerns on environmental issues. His footage has been used in News features and for programming on National Geographic Channel, Rettet den Regenwald, and a number of other major broadcasters. At the present time, he is a freelance film director, camera person, active in documentary film workshops in several state universities in Malang city, East Java. Angela is a Brazilian biologist and photographer. 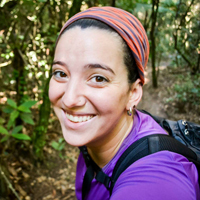 After volunteering in conservation programs in Brazil and Costa Rica, as well as having studied and gained work experience in Journalism, Biology, Photography and Environmental Education, it became clear that making nature documentaries would allow her to blend her passions and skills in a meaningful way. 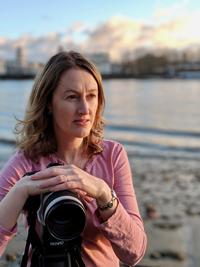 In 2015, she received a scholarship to study Wildlife Filmmaking at UWE Bristol in partnership with the BBC and is now producing her first nature documentary 'To Catch a Macaw'. Juncal 1957, Piso 2 "A"
Juan Maria Raggio, Johnny, is a nature documentary producer, cameraman and photographer, with a team of excellent writers and filmmakers, specializing in wildlife and natural history. Being the only documentary crew has completed several nature‚s productions in Argentina, on land or under water, insects to the Orcas in Valdez Peninsula. With great experience in conservation for over 10 years a member of the bureau, Aves Argentinas / BirdLife International, many of his documentaries are on species with some degree of danger, with excellent contacts throughout South America, with groups conservation of more charismatic species, as also in the National Parks administration. His last production on "Twilight of the Hooded Grebe" achievement the creation of a new National Park in the Argentine, called Patagonia, to save this little known endemic species, since it was discovered in 1974. Long-term mission of Johnny is to inspire people to fall in love with our land through their images, awakening the desire for knowledge and conservation. "Since conservation starts with knowledge" With extensive experience in the Argentine biomes he is the right man to help ensure that the imposing image of his production company wants to film in Argentina. Juan María Raggio, Johnny, es un productor de documentales de naturaleza, camarógrafo y fotógrafo, teniendo un equipo de excelentes guionistas y realizadores, especializado en la fauna y la historia natural. Siendo el único equipo de documentalistas que tiene varias producciones de naturalezas terminadas en la Argentina, en tierra o bajo el agua, de los insectos a las Orcas de península Valdez. Con gran experiencia en la conservación, desde hace mas de 10 años es miembro del buro de la Ong, Aves Argentinas/ BirdLife International, muchos de sus documentales son sobre especies con algún grado de peligro, con excelentes contactos en todo Sudamérica, con los grupos de conservación de las especies mas carismáticas, como también una excelente relación con la Administración de Parques Nacionales. Su ultima producción el "El Ocaso del Macá Tobiano" logro la creación de un nuevo Parque Nacional en la Argentinas, llamado Patagonia, para salvar a esta especie endémica y poco conocida, ya que fue descubierta en 1974. Misión de larga duración de Johnny es inspirar a la gente a enamorarse de nuestro tierra a través de sus imágenes, despertando el deseo de conocimiento y conservación. "Ya que la conservación empieza con el conocimiento" Con una gran experiencia en los biomas Argentinos él es el hombre adecuado para ayudar a conseguir que la imponente imagen de su compañía de producción quiere filmar en Argentina. Director, lighting cameraman, editor and activist. 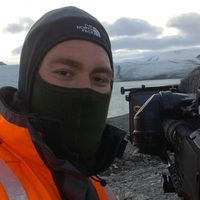 Paul has been a campaigning filmmaker in the environmental movement for over 10 years with the Environmental Investigation Agency and since 2006 with Handcrafted Films. His work has involved directing, filming and editing a variety of films for advocacy on a range of issues including the trade in tiger parts, whale and dolphin trade, illegal logging and the ivory trade. This work has involved extensive travel in hazardous environments as a small crew using both open and covert filming techniques. His footage has been used in News features and for programming on BBC, Sky, CNN and a number of other major broadcasters. He has also trained activists media-based campaigning techniques in Indonesia, Papua, India and Tanzania as part of extensive UK Government funded training programs. His directing work with Handcrafted Films has produced a number of award-winning short films for major development funders (UK DFID, European Forestry Institute) and non-governmental organisations (Amnesty, WSPA). He has been nominated three times for the FFC filmmaker of the year award. 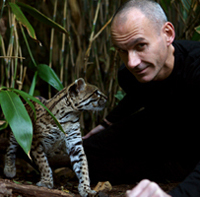 I am an independent filmmaker dedicated to rainforest conservation and animal welfare. 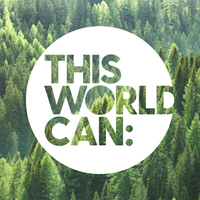 My films are about giving a voice to the rainforest and the victims of deforestation. They are both a tribute to the beauty of the rainforest and its wildlife, and a means of raising awareness of the suffering and loss inflicted by human development, corporate greed and consumerism. I am driven by empathy and consider my films an act of citizenship, like a drop of water to help extinguish the blazing fires of destruction around the world. I make my films independently, free of all political, religious or commercial interest. I try to trigger change in our consumer choices and the way we behave toward animals and nature. My films are either commissioned by environmental NGOs or self-produced, they are made possible thanks to the help of friends. They are copyright free for home viewing and non-commercial public screenings. They are available for free streaming on my website. Since February 2011, I have spent most of my time with sun bears in Indonesia, both reintroducing cubs into the wild and improving the living conditions of captive adult bears. Like most of the Indonesian wildlife, sun bears are threatened by deforestation and hunting, but very little is done for them and their plight receives no attention. With my sister Caroline Vidal and a friend Christine Chiquet who both share my sensitivity, I have created a non-profit organization called Sun Bear Outreach registered in France. The main objective of this charity is to raise awareness of sun bears and raise funds to help improve the well being of captive sun bears across Indonesia. Director/Producer/Camera Operator at Loke Film. Darryl Saffer is a filmmaker/composer and was the audio/video producer for Mind Magic Productions (RMC Interactive). There, he composed the soundtrack and edited the video (live action and animation) for the Jane Goodall environmental adventure CD-ROM Jubilee’s Journey. His camera has focused on such diverse subjects as orcas off the coast of Vancouver Island, public housing in Florida and cosmic theory. Darryl documented a botanical expedition in the cloud forest of Venezuela, produced the CD-ROM Tales Of Titans - The Amorphophallus titanum in North America and his film, Myakka River State Park is part of the permanent exhibit at the South Florida Museum. Working with filmmaker Diane Mason, the team produced Condemned, a film which exposed conditions at the Janie Poe housing complex. Darryl is the filmmaker for the Wild Orchid Man films with Stig Dalström. Saffer can be seen locally and on youtube on the Education Channel’s award-winning program Florida Field Journal. Best known for his work directing and producing special features for the first three Harry Potter DVDs and the Van Helsing DVD, Samstags' work on Van Helsing was featured in an article by American Cinematographer Magazine and the making of WAR & TRUTH was featured in the American Prospect. His documentary, TALES IN FLIGHT, followed the inspirational stories of pilots who fly dogs to safety. His documentary feature film, WAR & TRUTH, won Best Documentary at the Annapolis Film Festival in November 2005. His documentary, JUST GOT BACK chronicles Darryl Worley's last trip to Iraq in 2010 and was honored with an Excellence in Media Award from the Daughters of the American Revolution. Samstag graduated from Hampshire College with a BA in Directing for Film and Television in 1989. He's fostered over a hundred dogs and is the proud parent of five rescue dogs. 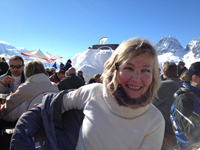 Susan has been making documentary films for nearly twenty years now. After studying cinematography and the craft of non-linear editing in the US, she went on to mentor with an ACE editor in Washington DC, the home of documentary. So, it's no wonder Susan fell in love with the craft of editing documentaries! Not only has she worked with some of the best wildlife and documentary filmmakers on the planet, she has gone on to win a Jackson Hole Wildlife Film Festival award for Best Editing, three SAFTAs as well as several international awards for her cutting. In 2010 she was awarded the use of the acronym from the South African Editors Guild. 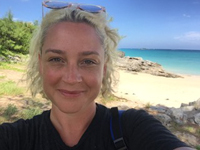 Shortly after receiving recognition of her body of work by the guild, she returned to her love of cinematography and after two decades in dark cutting rooms, she now spends as much time outdoors as she can! Susan is now directing the crowd-funded independent film STROOP on the rhino poaching crisis. 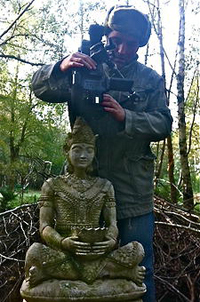 I am a award-winning filmmaker and camera operator who has been filming documentaries worldwide since 2006. With a background in biology, I specializes in natural history documentaries and long lens work, but he also has extensive experience with traditional documentary style and multi camera production. I have shot and produced 65 hours of factual TV from the Congolese jungle to the high Arctic on Svalbard. I'm based out of Norway and South Africa. Diverse and experienced operator and assistant. Producer and director of wildlife web content. Footage broadcast by NatGeo wild and discovery amongst others. 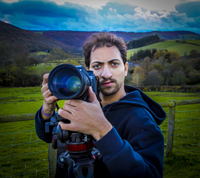 Yusuf is a filmmaker based in Dubai, United Arab Emirates. 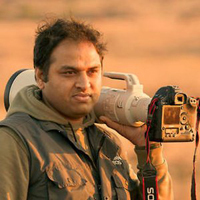 A qualified Filmmaker, with a degree in Film Direction, he has been producing films across the gamut from Television Commercials, Tele-serials, Music Videos & the most fulfilling, for the last twenty years Wildlife/Nature Documentaries. He heads VFX Productions, a studio based in Dubai in the United Arab Emirates. Till date he has produced ten Wildlife/Nature documentaries. His latest is a series of 45mins X 3 films based on the Wildlife and Environment of the region, filming for which has been completed and series is in the final stages of post-production. In 2010 he completed “Rak-Tree of Life” which presents five trees, their environment, flora and fauna and the part played by them in the life, heritage, and culture of people of UAE. His other recent films are “Bu Tinah” nomination film for the new seven wonders of the world, “Tracking Mermaids” and “Abu Dhabi – Home of the Legendary Mermaids” both are based on dugongs found in the waters of UAE. 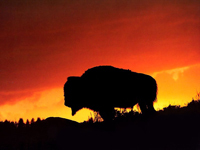 His past work has won awards at Jackson Hole, IWFF Montana, and Earth-vision. He would like to produce, work, collaborate, co-produce films on Conservation, Pure Wildlife, and children's based nature programs. Specifically work on films based on the Middle-East, and the Indian Subcontinent. Past films have been based on birds, dugongs, islands, mangroves and deserts. Would love to work with broadcasters on co-productions. I am a freelance Cinematographer, Editor, Producer, Writer, Director. Having worked as a one-woman crew for several years, I am a jack-of-all-trades. 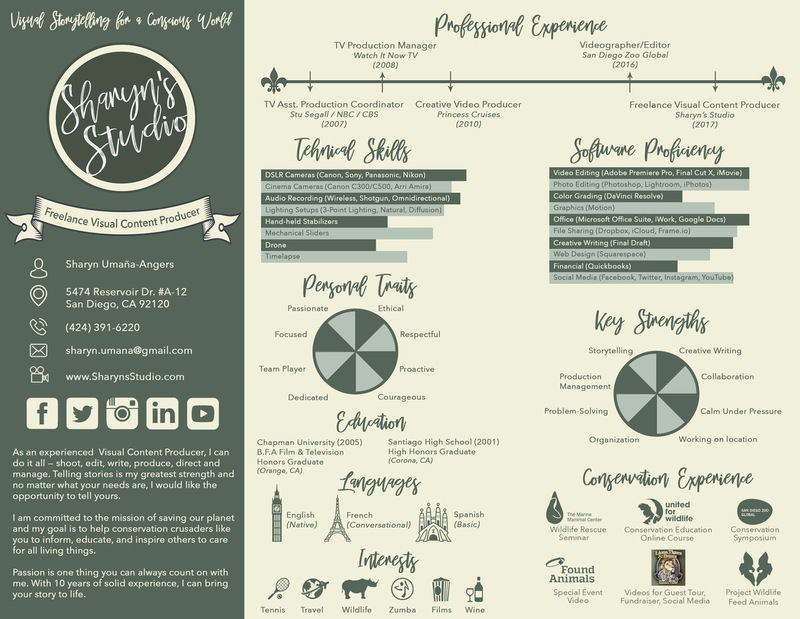 I traveled the world for 5 1/2 years as a Creative Video Producer with Princess Cruises before working as a Videographer with the prestigious San Diego Zoo Global organization. Recently, I have produced videos for local wildlife nonprofit organizations and am looking to take the next step into full-scale documentaries. Nick is a freelance stills photographer and videographer with extensive experience of documenting wildlife / conservation projects with high quality images of nature and of people/animal interactions. He’s won recent awards at several European and UK stills photography competitions, including the Documentary Series category of the British Wildlife Photography Awards in 2014 and 2016. His images have illustrated six features in BBC Wildlife magazine since 2014 and have appeared in National Geographic magazine. He photographs all kinds of wildlife from tiny macro subjects to shy birds and mammals, is used to capturing people at work on camera, and does a lot of nocturnal photography using camera traps and infra red techniques. 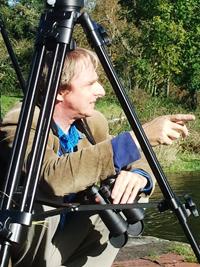 He also shoots HD DSLR video clips and his footage of beavers, including unique scenes of nocturnal dam-building has appeared on BBC Springwatch. 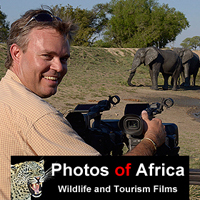 Nick has also worked as a wildlife TV director and producer for over 20 years on films and series of many kinds, from high end to low budget, for a wide variety of broadcast/non-broadcast clients in Europe/USA/Asia. Films he's written, directed and produced have won nearly 100 awards including 11 'Best of Festival' wins in 8 countries. Nick is interested in discussing commissions on a very flexible basis, offering one or more of photography, videography, directing, writing or producing. He's also a co-author of The Norfolk Cranes' Story. 12 years experience in Wildlife Photography. Specialist in Rainforest (Amazonia, Africa, Asia). Author coffee table books for French Editor Vilo & National Geographic Spain. I do Photo Exhibition & project sponsored by NIKON, UNESCO & National Geographic. I am equipped Drone 4k & Caméra 4K & big lenses. Please contact me if you have any serious project in the jungle, Central America, South America, Africa & Asia. Founded by Filmmaker and Communication Scholar Thomas Veltre, The Really Interesting Picture Company is exactly what it claims - a creative production company dedicated to exploring really interesting ideas and untold stories through a broad range of media. Our work embraces Arts, Science, Wildlife & Environment, News, Broadcast, On-line, Museum Exhibit and other non-fiction applications. Based in New York City and around the world, The TRIPCo Team includes some of the most interesting artists and craftspeople working in digital media today. Thomas Veltre brings more than two decades of media production experience to his role as proprietor of The Really Interesting Picture Company. Formerly in-house media producer for the Wildlife Conservation Society, Tom writes, shoots and edits in a wide variety of formats for a broad spectrum of venues, ranging from documentaries, news and public affairs programming to interactive museum exhibits, instructional materials and new media applications. As a producer/cinematographer, he has covered stories on four different continents, and his work has been broadcast by all the major North American commercial television networks, PBS, Discovery Channel, National Geographic Channel, CNN, BBC, NHK (Japan) and Fuji TV (Japan). He holds an undergraduate degree in Music Education from the Crane School of Music, (SUNY Potsdam), and did his masters and doctoral work in Media Ecology at New York University under Neil Postman. Tom is also a former board member of Filmmakers For Conservation, and an adjunct professor in Communications at Fordham University where he explores the interface of mass communication and the environment. 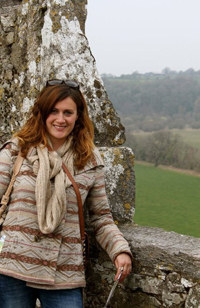 Katie Wardle is a Freelance Director and Camera operator. 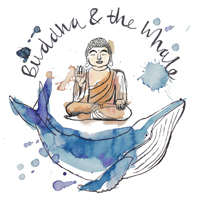 She has recently set up a Production company Buddha and the whale, to finance and create wildlife conservation documentaries with a team of other freelancers. 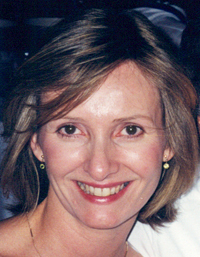 She has worked across the globe from New Zealand to the Turks and Caicos Islands. She is Proficient in Lighting from working in Drama for many years. She is Qualified as a HSE Diver and in BCAP Canopy Access. She is also a National Geographic Explorer. 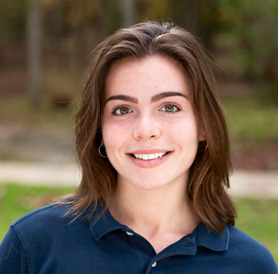 Madelaine is owner and producer at Nutshell Productions, the wildlife and conservation production company. She is also Director of the Great Apes Film Initiative (GAFI), a non profit organisation which used the power of film and the media in service of conservation. Natalia has a wide range of experience in directing and editing documentary film and video production. Her current focus is on nature and ecological themes. In 2011 she graduated with an MA in Digital Documentary from Sussex University. On the course she produced a short half hour documentary called A Wild Hide which is a character portrait with an underlying environmental theme. It was screened at the SEE Documentary Film Festival in 2011. The film is about a Brighton based artist who commandeers small pockets of land for building dens in, illegally. Inspired by nature the dens are beautiful, created out of natural and recycled materials. The film takes us deep into the English countryside and below the surface of mainstream society. Natalia is currently developing a mini Eco series called Lily's Eco Diary. 'Seek and you will find . . . a new approach to everyday life. Lily discovers fresh ideas for ecological and sustainable living in her home county of Sussex'. The pilot can be seen here. History of the World, BBC1 – Indonesia camera unit. Trashed, Blenheim Films: A feature documentary presented by Jeremy Irons – Indonesia camera unit. Alien from Earth, PBS Nova & ABC Australia – 2nd unit camera. Heads Above Water, BBC World – DOP, Co-Director Indonesia. Age of Stupid, Feature Documentary Launch USA – Greenpeace Director/DOP. Environmental Conservationist. Founder of Beyond the Riverbank. I use my landscape and wildlife photography, writing and wildlife films as a great excuse to explore the natural world and share my passions with others. As a presenter I am easy-going and informative. I love to immerse myself in the subjects at hand. 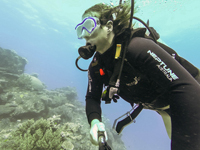 Specialising in marine conservation, I am HSE Pro Scuba Part IV trained, and have gained vast amounts of public engagement experience working with numerous environmental charities. I hope to inspire as many people as I can to get out and open their senses to the world around us - you really do not have to travel far to see great wildlife!